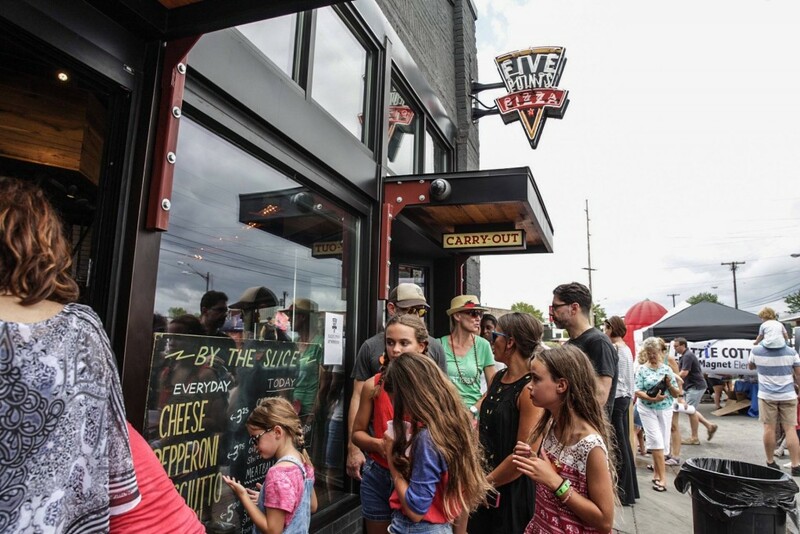 This Tuesday, Sept. 13, East Nashville’s Five Points Pizza hosts its annual birthday celebration, which consists of offering us free slices of their justifiably loved, New York-style pizza, via their streetside slice window. 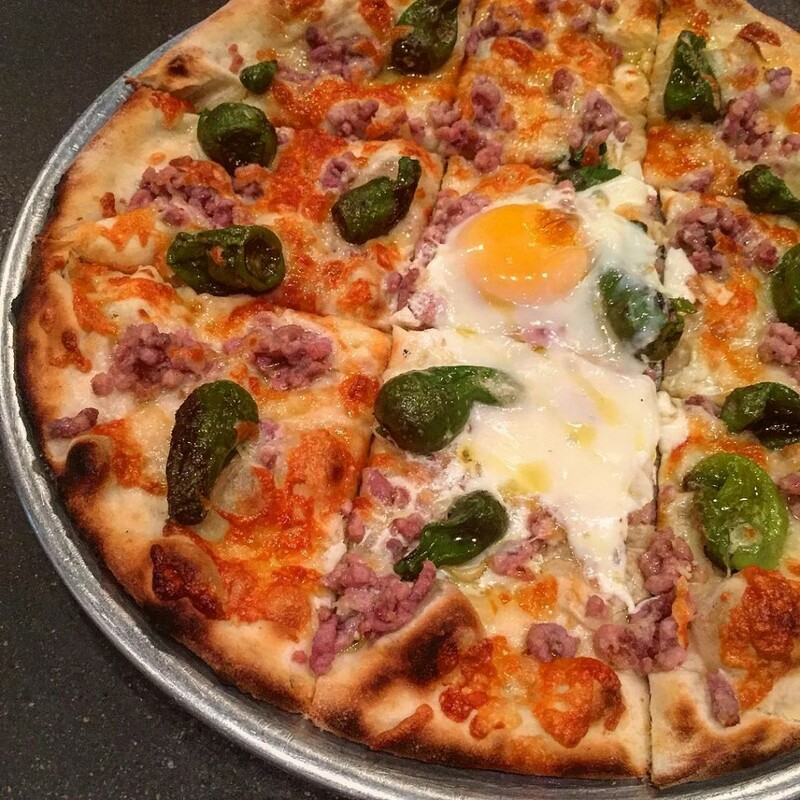 The occasion brings to mind something most Nashvillians will agree on: The pizza scene in our city has improved dramatically in recent years, whether you’re drawn to New York-style slices like they serve at Five Points, or something closer to classic Neapolitan-style pies. Whatever our pizza mood, we have a solid choice nowadays, which really wasn’t the case even a decade ago. 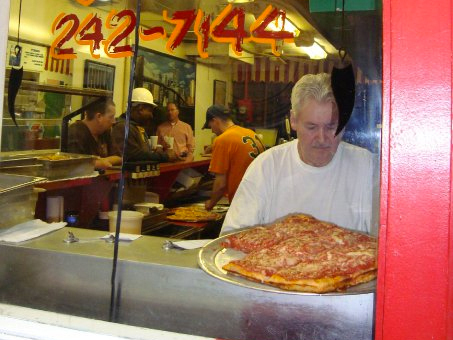 Before launching Five Points Pizza in 2011, the owners studied extensively in Staten Island, to learn the tricks of the New York-pizza trade. The education is evident in how effective their New York-style pizza is (pictured above), with perfect crust texture and foldability, sauce tang and melty cheese. They make pretty excellent garlic knots, too. NY Pie owner Greg Meyer is a Jersey guy, but his pizza education came from working alongside first-generation Italian New Yorkers who imparted key secrets — like making fresh dough and fresh sauce. His grasp of the formula’s made NY Pie a Nashville favorite, with locations in West Nashville and Hendersonville. If you’ve ever had delicate, wood-fired, charred-crust Margherita pizza in Naples, regular cravings almost certainly haunt you. Luckily, there are a few great local places to grab a fix, starting with DeSano, a stone’s throw from Music Row. 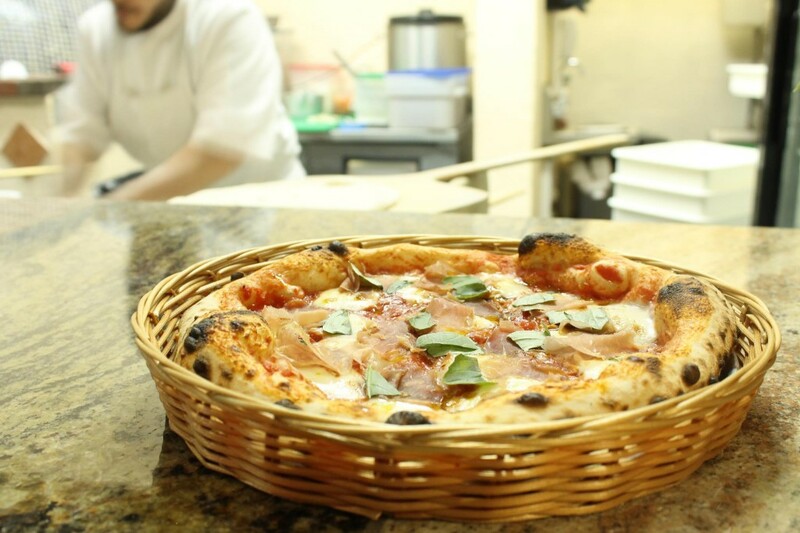 The restaurant aims to be as authentic as possible — they import ingredients from the Campania region of Italy, and cook the pies using Italy’s Associazione Verace Pizza Napoletana guidelines, in ovens that were hand-built in Naples with volcanic rock from Mount Vesuvius. They’re serious about their craft, and you taste it. Inside the Nashville Farmers Market in Germantown, you’ll find a small, unassuming pizza place making some of the city’s best Neapolitan pies (pictured above). Part of the particular fun of Bella is their focus on local and homemade stuff — they make their own mozzarella from regionally produced curds, grow their own San Marzano tomatoes and even make their own sodas from fresh juice. And the wood-fired pizzas are authentic, and delicious. One of our favorite restaurants in the city, East Nashville’s Lockeland Table isn’t specifically a pizza joint, but they still make some of the most delicious pizza you’ll have in Nashville, with creative flavors and killer crust. 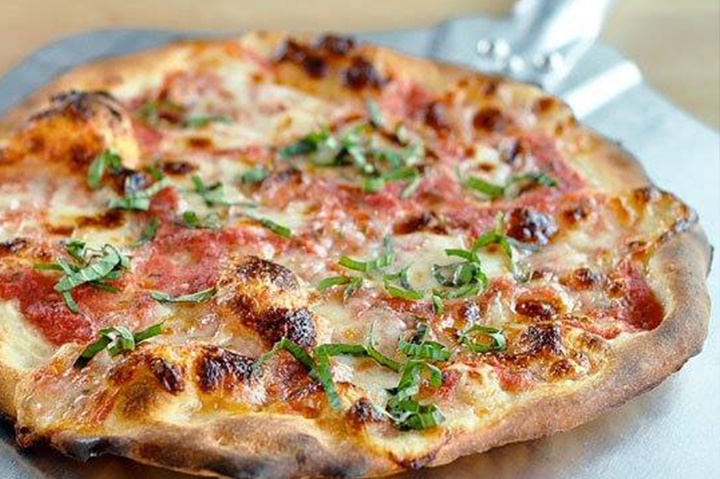 If you lean classic, it’s hard to beat their Margherita pizza. And as an extra bonus, you can sit at the bar and watch their world-class staff prepare your wood-fired beauty, too. 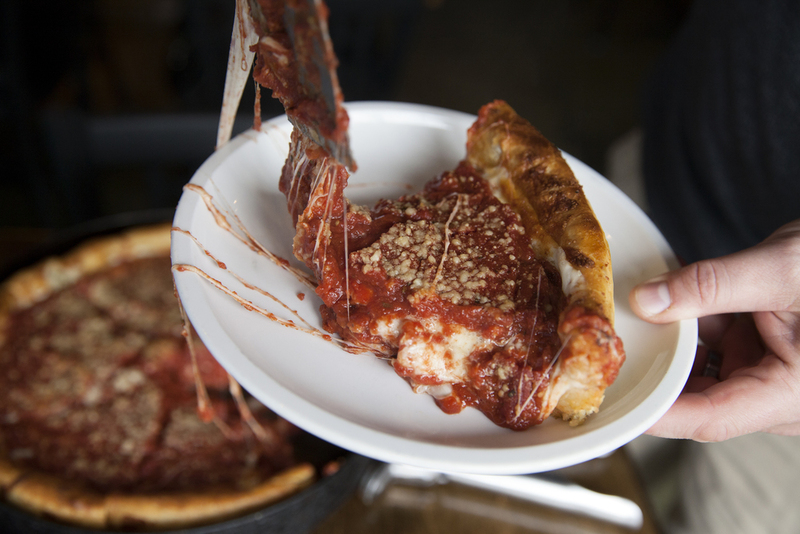 If you’re a Chicago ex-pat, your best bet for a taste of home is to head to Germantown and visit 312 Pizza Company, who serve up solid takes on classic deep-dish and thin-crust pizza (including a pie that’s topped with hot chicken, which we totally forgot to include in our rundown of our favorite hot-chicken twists). The City House kitchen is run by one of our city’s best-known chefs — James Beard Award winner Tandy Wilson — and it gets praised for all kinds of rustic Italian fare, from pasta to oxtail sugo. Ask any City House diehard, though, and they’ll probably first gush about the Germantown restaurant’s pizzas. The flavors are fresh and unique, and the preparation spot on, from pies with belly ham and mozzarella to apples, rosemary and sunflower seeds. It’s a great place to get adventurous, since the kitchen is pretty well guaranteed not to steer you wrong. A great East Nashville hang right in the heart of Lockeland Springs, Italia is known for being community-focused. Which explains why owner Salem Elkhatib found himself serving an underserved part of our populace — he got feedback from diners, and put his place among the first in the city to offer gluten-free, vegan crust. It’s tasty, too. Hope those suggestions help when you find yourself with a particular pizza craving. If we can help with something non-pizza-related — like tracking down the Nashville home you’re searching for — drop us an email or give us a call!